Celebrating over 100 years of service, Willis Allen Real Estate is the most respected real estate company in La Jolla. We personally have over 60 years of combined real estate experience in La Jolla and San Diego County. Pam has been a broker since 1980 and obtained the "Certified Residential Specialist" designation in 1993. 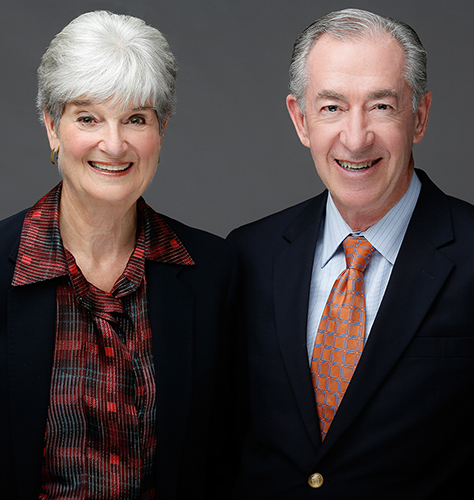 Since Phil and Pam began working together in 1993, the Reed Team has completed over 887 transactions for a total of over $828 million. We think our clients are the most special, and we strive to give them exceptional service. The tougher the market got over the years, the more assertive and successful we became in securing results for our clients. Our team approach, Phil and Pam Reed together with our associates, gives you the effort and attention you deserve. Whether you are selling or buying, contact us and let our knowledge, experience, and professionalism work for you.